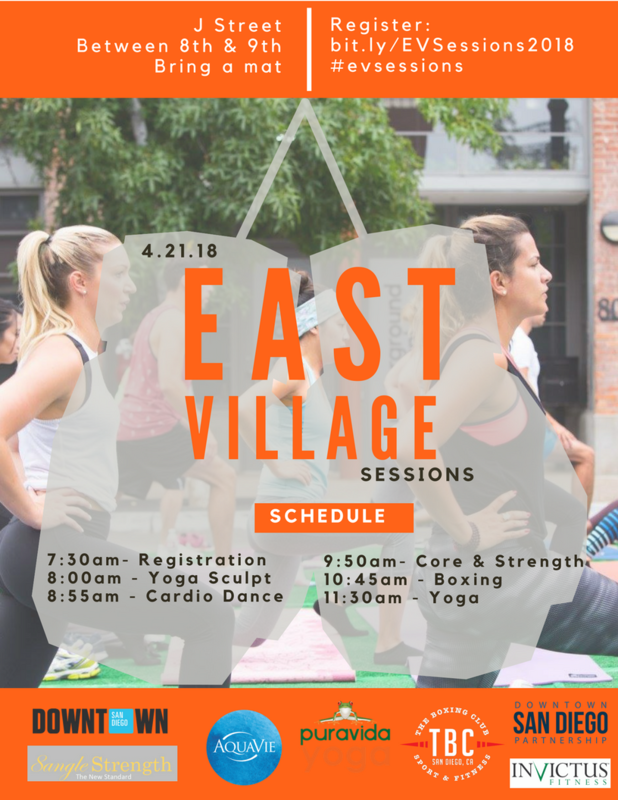 Mark your calendars for one of our most popular events of the year: East Village Sessions! Work up a sweat on J Street, between 8th and 9th, at our FREE workout event on Saturday, April 21st, from 8am to noon. Five different workout sessions will be offered during the event – stay for one or try them all! Click here to register today.